Nadia Reid has been forging a low-flying pathway in song writing and live performance with her unique brand of understated charm for a while now. Nadia embarks on an extensive three-week tour starting in Christchurch on 8 June with a collection of new and much loved songs. 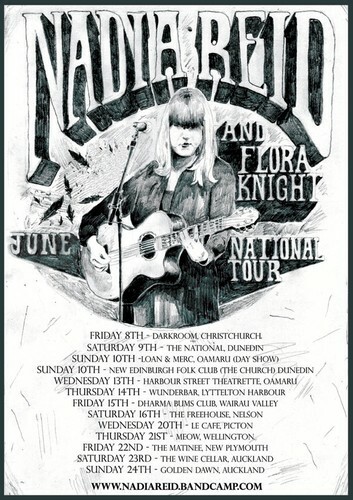 This second national tour sees Reid return to her acoustic roots and is joined by fiddle player, and The Eastern's, Flora Knight. Together Reid and Knight play fifteen venues on a whirlwind trip to major centres and smaller towns like Oamaru and Wairau Valley, featuring the odd local guest or two. In 2011, Reid released her debut EP Letters I Wrote And Never Sent, ventured out on her first national tour, and had her song ‘Rise and Fall’ feature in Gerard Smythes’ film When a City Falls. The documentary film of the Christchurch earthquakes was shown in over 40 cinemas nationwide throughout the summer and is now due for international release. A pretty big year by all accounts, for someone only twenty years of age. After a two-year stint in Christchurch, the Dunedin-raised musician is now based in Auckland and is set for the next stage in her career. “Nadia Reid possesses a measured melancholia that speaks eloquently of the smoldering embers of life's firestorms.” Jeff Harford, (source). 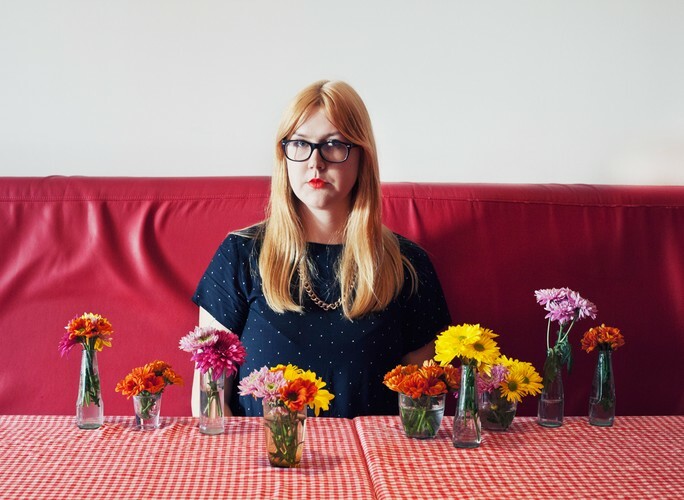 “Self-styled “New folk” singer Nadia Reid has a rich sultry voice, which on her Letters I Wrote And Never Sent EP, she drapes languidly over ornate folk and alt-country instrumentation. Reid sings about relationships, but not strictly relationships of romantic love, also relationships with friends, places, events and ideas.” Martyn Pepperell, (source). “’Rise and Fall’ has already etched itself into many people's hearts and that's in no small part to its hushed cadence, beautiful vocal performance and glistening acoustics; a gorgeous song on its own.” Music Hype.